Pioneers in the industry, we offer glass connector from India. 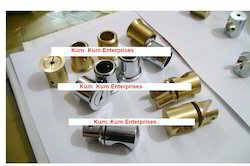 We are the manufacruring a range of brass Glass Connector and F brackets and Stainless steel Glass Door handles. Looking for Glass Connector ?